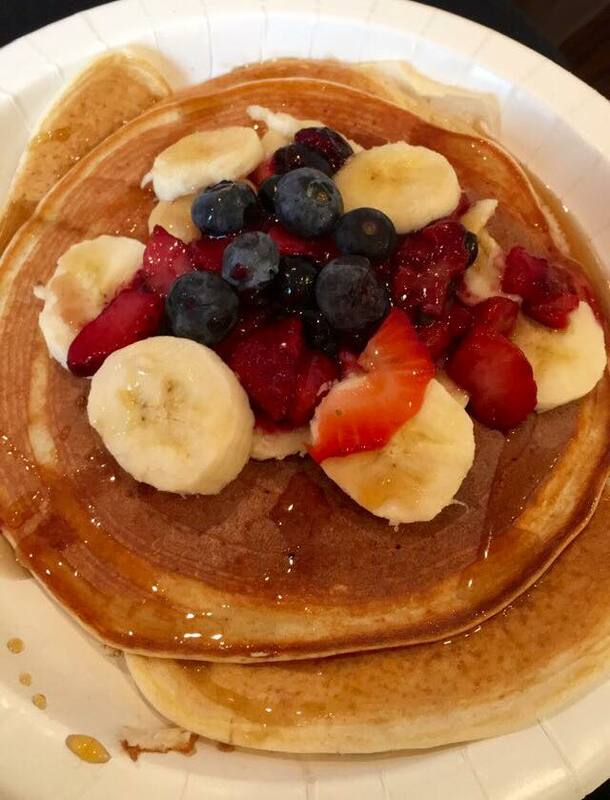 Pancakes have always been a weakness of mine and are so hard to give up! Luckily, you don’t have to give them up! 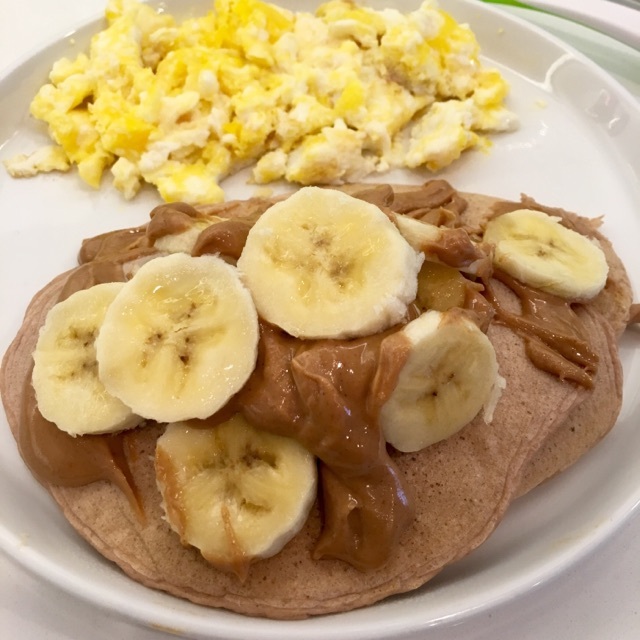 This easy protein pancake recipe is the best one out there! This has got to be my favorite breakfast, and my sons too! I make it almost every morning. Really, the only time I don’t make it is when I’m out of cottage cheese. I mean… why not? They’re delicious and super healthy. Packed with protein to keep you full. You can have raw maple syrup with it and I love to top it with fruit. If I don’t put syrup or any other toppings on them, my son just grabs the pancakes and eats it like that- so it’s good on the go too! 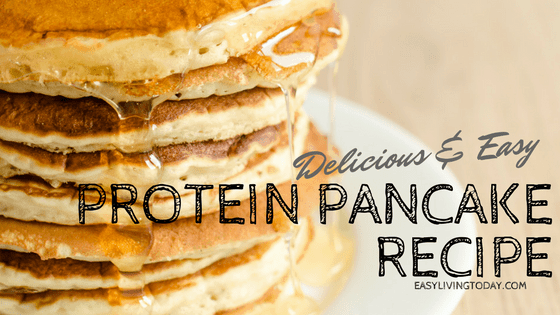 If you love your protein, you’re going to love your pancakes! So picking a delicious protein powder is key. The taste is going to vary a little depending on what flavor protein you use, but I haven’t had a bad one yet! I absolutely recommend Perfect Keto’s Collagen Protein Powder (yes, even if you’re not on keto). It’s definitely my favorite & the best tasting protein powder out there for women. Because of the added collagen and MCT powder you get a ton of extra benefits that other protein powders don’t have. Like strong hair, skin and nails! I normally use vanilla or chocolate protein, but I’ve also used other flavors for extra flavor. The salted caramel flavor is delicious! They all taste amazing, though, so it just depends on your preference. ==> Use code jess10 to get 10% off of your IdealFit protein powder! 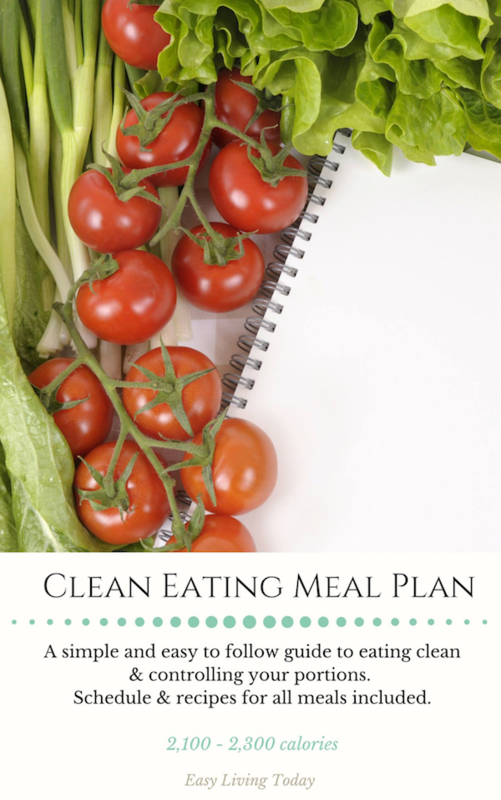 Serving Size = This recipe is only one serving, so duplicate as needed.